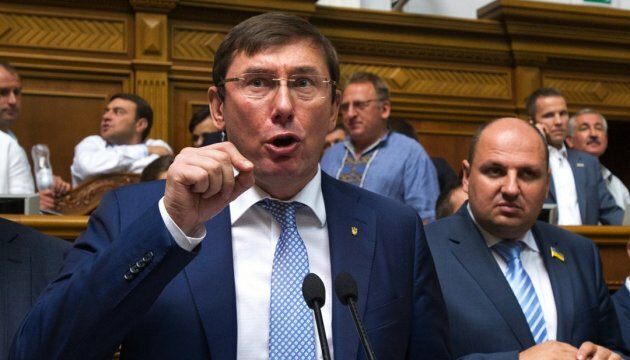 Ukrainian Prosecutor General Yury Lutsenko has asked MPs to permit access to the state secrets for further review of the investigation results in the 2014 Ilovaisk tragedy, he has said at parliament’s session on Friday, Ukrinform has reported. "At this time, the final stage of a comprehensive military expertise by judicial commission has been reached, and it is expected to be completed by the first half of August. The experts have identified the military who issued orders to the troops in that sector and who did not give vital orders on the basis of documents. Given a significant public demand to establish the truth in this case, Prosecutor’s General Office of Ukraine appeals to all MPs with a proposal to provide access to state secrets in compliance with the legislation," said Lutsenko.